Are you a believer in using foods to prevent and treat illnesses like diabetes, high blood pressure, and even cancer? There are countless foods and substances available for preventing and treating cancer, and in case you still aren’t convinced, maybe this new and exciting research will seal the deal. In recent research, compounds in apples known as oligosaccharides were found to kill up to 46% of human colon cancer cells. Further, the compound outperformed common chemotherapy drugs while leaving the toxic side effects behind. For the study, researchers isolated polysaccarides like pectin and other fibers from the waste product of apples after they have been juiced. This waste product, known as pomace, is made up of skins, pulp, seeds, and stems. After isolating the polysaccarides, the researchers treated them with natural pectinase to break down their molecules into oligosaccharides. Finally, the oligosaccharides were added at various concentrations to cultured human HT29 colon cancer cells, while a common chemo drug was added to others. In every test using different concentrations, oligosaccharides induced programmed cell death (apoptosis) at greater levels than the chemo drug. At about 0.9 PPM), oligosaccharides killed 17.6% of the colon cancer cells within 36 hours. The chemo drug, at a higher concentration of 1.3 micrograms per mL, killed only 10.9%. At 9.0 PPM, 46% of colon cancer cells were killed by oligosaccharides. The chemo drug wasn’t tested at this level. Apple oligosaccharides don’t negatively effect healthy cells, unlike chemo. Found naturally in many plants, honey and milk, oligosaccharides are gaining more recognition for benefiting various areas of health. Studies have found the compounds positively impact intestinal flora, control blood sugar, and boost immunity. Like many studies before it, this new study once again shows the amazing effects of natural foods and compounds. What’s more, it’s amazing how oligosaccharides can be derived from a waste product of the apple juice industry. It shouldn’t be too difficult to come up with an inexpensive natural medicine when millions of tons of pomace are available for use in large nations. I cured Stage 4 Colon Cancer by drinking 5 cups (1.3 liters) of carrot juice daily. My book about the treatment and the science (nutritional epigenetics) that explains why carrots worked is Curing Cancer with Carrots, an e-book available on amazon. what about apple-cider-vinegar with mother—could this be a daily tonic for good health??? Has this been tried on actual patients with cancer, or just lab cultures? It appears that the results are just from lab tests. Also, the study originated from a university in China. Is this university reputable? What is their track record? Washing apples doesn’t take off all the pesticides. The pesticides go into the ground from the rain and get absorbed by the trees roots, then goes RIGHT into the apple. It’s not just on the outside. Buy organic! So, 'an apple a day' really can keep the doctor away! The story of Johnny Appleseed just took on new meaning for me! hmmm…. an apple a day keeps the doctor away. What happens if a doctor eats an apple? Is there a recipe to wash pesticides off apples? Buy organic, then wash them with Fruit and vegetable wash purchased at finer grocery stores. I use regular dish soap and water to wash my produce. Some things must be soaked overnight to get into crevices where pesticides, etc. are. Diluted Castile soap works great. 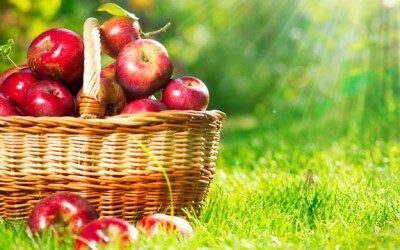 Buy organic apples – conventional apples top the EWG's Dirty Dozen list of most sprayed produce. Can you find Apple extract in most health food stores ? .. in order to get the strength of the Olygosaccharides… and it also treated " Natural?" pectinase…. This article was good news ! , but not really helpful in how to take the Olyosaccharides…. eat tons of apples ? … don't think so. Please don't leave us wondering … Thanks ! This is a wonderful sharing that leads one to study more about Olygosaccarides.. However, there is till a question over whether the pulp that is left over after juicing is good enough to give such kind of cancer cells kill rate or it needs to treated with natural pectinase to break it down into Olygosaccharides.. ? One of my relatives suffered/ maybe still suffering from Colon cancer.. It is a really helpful article.. Thank you so much. Could you please answer my query? Thanks again. [ Smiles ] Thanks for sharing the great news about apple extract, Mike!